Sniffers are programs that can capture/sniff/detect network traffic packet by packet and analyse them for various reasons. Commonly used in the field of network security. Wireshark is a very common packet sniffer/protocol analyzer. Packet sniffers can be written in python too. In this article we are going to write a few very simple sniffers in python for the linux platform. Linux because, although python is a portable, the programs wont run or give similar results on windows for example. This is due to difference in the implementation of the socket api. The above sniffer works on the principle that a raw socket is capable of receiving all (of its type , like AF_INET) incoming traffic in Linux. The above is a dump of the network packets in hex. They can be parsed using the unpack function. The above code breaks down the packet into IP Header + TCP Header + Data. If the IHL is 5 then total size is 20 bytes hence options+padding is absent. For TCP packets the protocol is 6. Source address is the source IPv4 address in long format. and the balance after the TCP header is the data portion. The C version of the code is here. The Php version of the code is here. but this will not work , since IPPROTO_IP is a dummy protocol not a real one. 2. This sniffer picks up only incoming packets. 3. This sniffer delivers only IP frames , which means ethernet headers are not available. Now let us see how we can overcome the above mentioned drawbacks. The solutions is quite simple. 1. All incoming and outgoing traffic. 2. All Ethernet frames , which means all kinds of IP packets(TCP , UDP , ICMP) and even other kinds of packets(like ARP) if there are any. 3. It will also provide the ethernet header as a part of the received packet. The above program must be run with root privileges. Data : ? ?y?%^?=E ,@[email protected]?H?P?0R?W????`?5t? It parses the Ethernet header and also the UDP and ICMP headers. This kind of a sniffer does not depend on any external libraries like libpcap. The C version of this code is here. Will this script able to capture only ipv4 packets or it will sniff both ipv4 and ipv6? Payload I am getting as below: How to unpack the payload ? Should s.recvfrom only ever return a single packet? Hi sir … I’m a beginner on python … I can’t understand this part!! Is there a way I can sniff a specific interface and/or port #? I want to Trace only outgoing packets and I have no idea how to sort them out. I want to save them to text file as well, “on the fly” or after I break compiling. Can anyone help? Thanks for your code SilverMoon. – The Ethernet type is unpacked in line 32. Since it’s BigEndian in the packet, unpack does the appropriate job. – Line 33 is superfluous. Can this code sniff SIP message ? I want to sniff SIP. I already check in wireshark, sip is use udp only ( and port 5060 only ). But Program never sniff SIP. Hi – Awesome post – love it! Any recommendations on how I can mod it for parsing pcaps? I’d like to avoid using DPKT or PyShark! Thanks for the great post. It is really usefull. Can it dump to a pcap? I’m trying very hard to find how to convert the line below to something in Windows that will capture the ethernet header. Do you have any ideas? I have looked at the Python docs and been searching forums but haven’t seen anything…. wow! what an awesome tutorial! Thanks for the very details and great article. So I tried to convert this code to python 3. But I am running into problems with the unpacking part, specifically the line “eth = unpack(‘!6s6sH’, eth_header)”. What is this line doing and why in python3 does it seem to do something else? 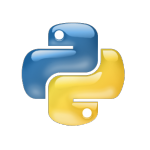 Anyone tried converting the code to python3? unpack(..) is part of the pack module which provides functionality to pack binary data into strings objects. Since the Python3 socket functions no longer work with string objects but with bytes objects instead, you don’t need (un)packing anymore. A while back I ported this to Python 3, and reformatted it a little. It’s on my paste site ( https://welbornprod.com/paste/?id=fgyx ). Thanks for the great post. It is really helpful. Could you please explain me what does ‘!HHLLBBHHH’ this means? Sorry for being naive. I have tried googling it. which is “H, H, L, L, B, B, H, H, H”, these will unpacked as a tuple. Thanks for the very clear and detailed note/tip!! packets going to/from another port (on the Layer 2 switch). Any hints on why the Pi does not seem to be “see” or sniff packets with destination addresses other than its own? Thanks for the post. My question is how can you know that which format specifier is to be used to unpack a particular header? For an example in case of a ethernet header we use unpack(!6s!6s!2s). How can I know that I have to use strings and not any other format specifier to get ethernet addresses? Is there any documentation for it? I can’t understand how this could work since socket.recvfrom() seems to work only for IPPROTO_UDP sockets. Nice article. Where does socket.ntohs(0x0003) come from? I couldn’t find this constant in any of the BSD socket docs. Why am I getting only UDP packets from other IPs in the network? Why am I not getting TCP packets from others? what is the type of socket you are creating ? the following socket will fetch only incoming udp packets. the following socket will fetch all incoming and outgoing packets as raw ethernet frames. Helpful post. What would you recommend if we’d want to sniff outgoing packets too? Maybe need to run sniffer on a machine that’s set as a router/proxy where the endpoints of interest (to sniff) pass data through? Is there is any way to convert this to unreadable content into readable text ..?? unreadable characters mean they dont have any representable ascii character. so they just display as codes. Great script thanks. Is there a way to taylor it to only sniff on a particular port? its not possible directly, instead the port of all tcp/udp packets need to be checked and the particular packet has to be picked out. why can’t we bind a socket to particular port and sniff only on that port. Kindly reply, I really need information on this for my project. All of my questions asked here are ignored. Please guys. it will check the port of every packet and will pass the data through to a function when a packet’s port is 80. @Jamie thx for your hint. for your information, i want to create a packet sniffer program using python on windows platfrom..
and the worse thing is, i’m the beginner on python. i’ve tried ur better sniffer code but it keep give me this error. and i’m stuck. i don’t know what the solution..
this code is only for Linux/Unix or similar operating systems. It will not work on windows , since windows has very limited raw socket support. It has “network sniffer with raw sockets on Windows” towards the bottom. However first brush up your python skills. hello,I have try the “network sniffer with raw sockets on Windows”. how can i get incoming packages on Windows? Thank you SilverMoon for your work! I had a problem with empty TCP packets. This program said the TCP data size would be 6, while it was 0.